Countless Texas Baptist men and women have dedicated much of their lives to ministry in Texas, setting an example of faithful servitude and passion for spreading the Gospel. Every June, Texas Baptists honors two individuals who have have left and are continuing to leave a legacy through their everyday lives. This year, we are pleased to present Sam W. Prestidge, Jr., founder of Singing Men of Texas, and Tillie Burgin, founder of Mission Arlington, with Texas Baptists Legacy Awards. Prestidge‘s legacy dates back to age 14, when he felt God’s call to ministry. He obtained a bachelor’s and master’s degree in Sacred Music from Baylor University and Southwestern Baptist Theological Seminary, respectively, as well as an Honorary Doctorate degree in Humanities from Hardin-Simmons University. In 1975, Prestidge’s passion for music motivated him to establish the Singing Men of Texas. He then established the Texas Baptist All-State Choir in 1976, All-State Band in 1978 and All-State Strings in 1994. In 1980, he established the Texas MusiConference that averaged over 1,000 music leaders in attendance annually. 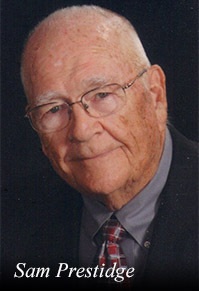 Prestidge retired as Director of Church Music from the Baptist General Convention of Texas in 1994 after serving for 34 years. Burgin was born and raised in Arlington, Texas, the city where she would dedicate much of her life and ministry. She earned her bachelor’s and master’s degrees from the University of North Texas. In 1966, the Lord called Burgin, her husband and their two sons to serve as missionaries in South Korea. After a decade on the international mission field, Burgin’s heart geared back toward Arlington. In August 1986, she founded Mission Arlington, which has touched countless lives for 30 years through assisting people with their physical, intellectual, emotional and spiritual needs. She has received numerous awards in recognition of her servant’s heart, including an honorary doctorate from Dallas Baptist University, being named “Pastor of the Day” for the Texas House of Representatives and the Dr. Martin Luther King, Jr. “Sharing the Dream” award for community service. 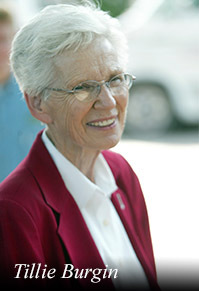 The City of Arlington honored her with “Tillie Burgin Day” in 2000, 2004, and 2006, and she was named to the “Texas Woman’s Hall of Fame” by former Governor George W. Bush in 2000. These two outstanding individuals will be presented the Legacy Awards on Sunday, June 5, at Independence Baptist Church in Brenham, Texas, at 10 a.m., with a lunch to follow. Burgin’s son will accept the award in her honor. If you wish to attend the ceremony and lunch, contact Becky Brown at 214-828-5301.